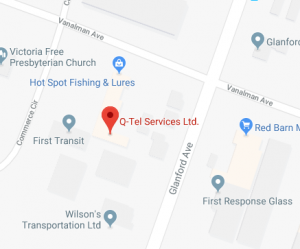 Q-Tel is Vancouver Island’s premier electronic & appliance service centre. We provide professional and expert solutions for all your electronic & appliance requirements. Sharp, LG, Sony, Panasonic, Samsung, NEC, Toshiba, Hitachi, Denon, Marantz, JVC, Prima, Legend, Insignia, Dynex, Akai, Mitsubishi, Technics, Philips, RCA, Zenith and more. We pride ourselves on being Vancouver Island’s leading electronic parts dealer. Our extensive stock of parts and lamps enables us to offer quick repair and turn around. In the event of delay we also offer loaner televisions for your convenience. Our technicians are factory trained and authorized by Canada’s leading major electronics manufacturers. Their skills and expertise are continually updated with regular training seminars on all the latest products and innovations.